Two of the most popular options for full-size pickup trucks are the 2019 Ford F-150 and the 2019 Chevrolet Silverado 1500. 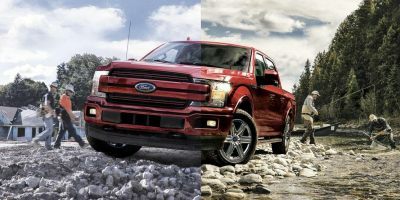 Though both offer plenty of appealing features, a brief comparison reveals that the 2019 Ford F-150 is the better choice. 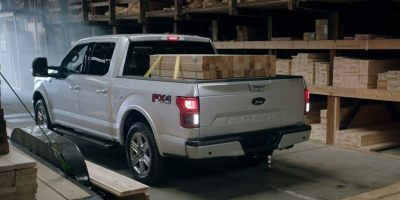 The F-150 offers more power, better off-road capability, and more advanced connectivity technologies than the Silverado 1500. Test-drive the mighty 2019 F-150 when you stop by Jack Bowker Ford Lincoln in Ponca City, OK. When it comes to potency, the 2019 Ford F-150 is the decisive winner. Equipped with the available high-output 3.5-liter EcoBoost® engine, the 2019 Ford F-150 generates an incredible 450 horsepower and 510 lb-ft of torque. By contrast, the highest trims of the 2019 Silverado 1500 top out at just 420 horsepower. The 2019 F-150 has a multitude of functions which enable it to dominate a variety of terrain, especially when you select the Raptor trim. This version incorporates class-exclusive FOX live valve monotube shocks with electronic solenoid valve, which enables continuously variable compression damping and automatic adjustment to changing road conditions. A Terrain Management System™ (TMS) enables even more control and traction when braving rough paths. 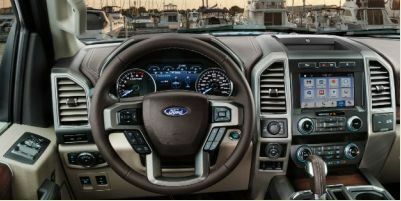 The brand’s new Trail Control™ system allows the driver to set the speed of the vehicle. The technology then automatically takes control of the braking and acceleration so you can focus on steering. The Silverado 1500 offers a Z71 off-road suspension package but lacks the advanced technologies available on the Ford model. While the 2019 Silverado 1500 boasts an infotainment system that allows you to pair your smartphone to the vehicle, the 2019 F-150 takes things a step further. Featuring Ford + Alexa and Ford SYNC® 3 AppLink® technology, the 2019 F-150 provides seamless connectivity to your favorite music, apps, and smartphone features. It also delivers voice-command access to Amazon Alexa features. The FordPass™ Connect app has a remote start function, as well as a 4G LTE Wi-Fi hotspots which enables you to connect up to 10 devices simultaneously. The Silverado lacks the same degree of connectivity.